Reduce age and sun spots. Allows for more control of the depth compared to other CO2 lasers. Offers Dr. Ayoub the opportunity to adjust treatment for unique issues such as uneven scarring and pigmentation. Restricts treatment to areas that need it, unlike other CO2 laser treatments that must treat the entire face. Typically a single procedure gives satisfying results, but a patient could have additional treatment 8-weeks after the first, if desired. 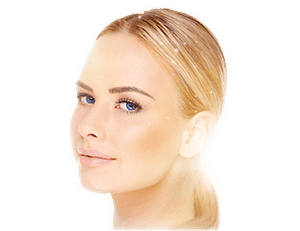 What Will Happen During CO2 Laser Resurfacing? The MiXto Fractional CO2 laser is done in the comfort of our office, and the laser light is used while a cool air stream blows on the face for relaxation. After treatment, patients will have a slight burning sensation similar to a sunburn, which can last anywhere from 30-minutes to 3-hours. * The skin will be red and may show a fine pinpoint like pattern as a result of the therapeutic beams. If you want to erase fine lines, wrinkles, age spots, or acne scars, call our Omaha office at 402.829.6384 to schedule a consultation.